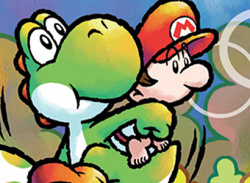 Yoshi and Baby Mario are back together at long last, and it'll take a steady hand to guide them through their latest adventure! 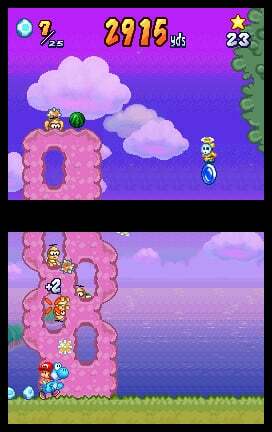 Onward, Yoshi! 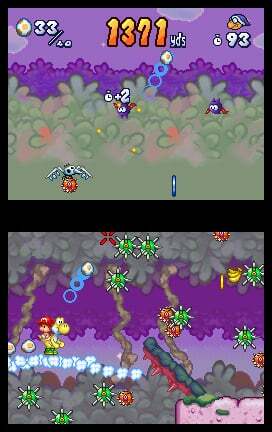 As Yoshi charges across the island, use the stylus to throw eggs at enemies, lead him to egg-replenishing fruit and make him jump over danger! Incoming baby! 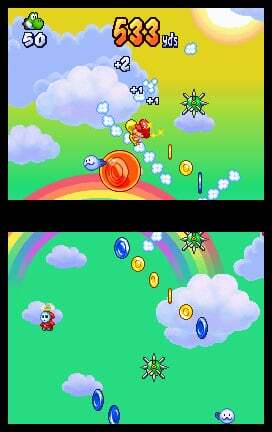 On vertical-scrolling levels, use the stylus to draw clouds to encircle enemies, throw coins and guide Baby Mario through the dangerous skies. 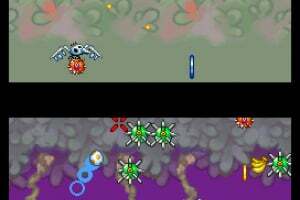 See how far into the island you can get in Endurance Mode, play for high scores in Score Attack or take on a friend in Vs. mode using the wireless link of the Nintendo DS. 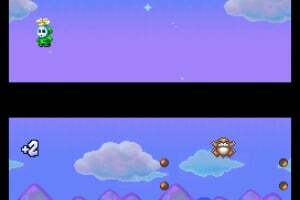 Game Storyline: One night, a stork was soaring high in the sky with a precious delivery of baby twins. 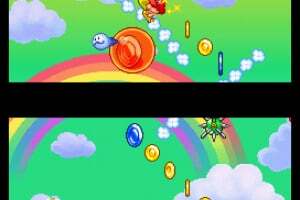 But then, as the stork flew over Yoshi's Island, a speeding shadow crashed into it, causing it to drop its precious cargo! 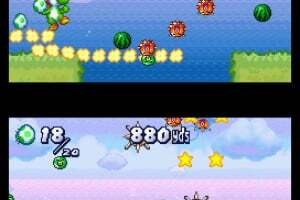 How to progress through the game: The game features two styles of game-play: vertical-scrolling and side-scrolling. 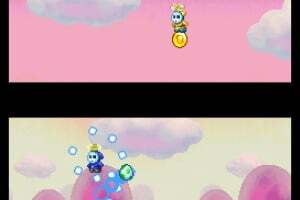 In the vertical-scrolling mode, players use the stylus to draw clouds in the sky, directing Baby Mario away from enemies and obstacles as he falls toward the ground. 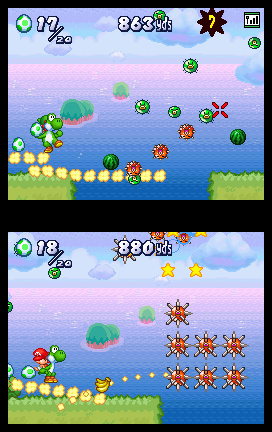 In the side-scrolling mode, players use the stylus to make Yoshi jump and throw eggs as he runs across Yoshi's Island. There are no complicated controls to master. 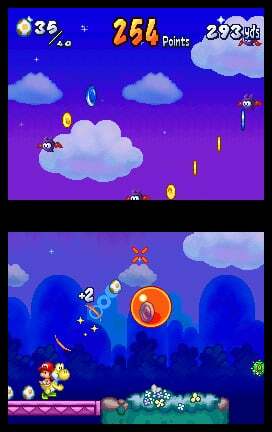 With simple yet precise Touch Screen controls, players of all ages and skill levels can easily enjoy the action. 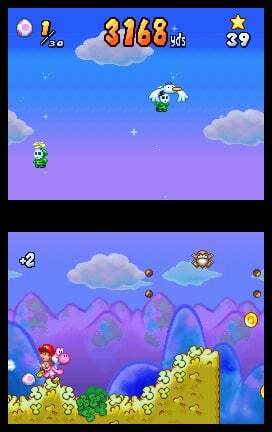 Special powers/weapons/moves/features: Touch Yoshi to make him jump, then touch him again to make him flutter-jump higher and higher. 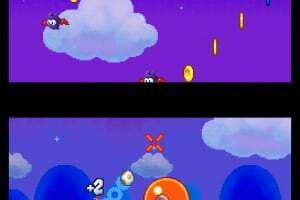 You can touch the screen to make Yoshi throw eggs that will collect coins and knock down enemies and egg-producing fruit. 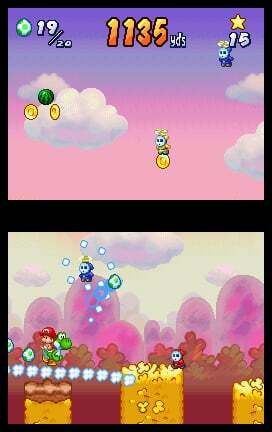 You can also encircle enemies in clouds to turn them into coins, which you can then throw to Yoshi with the stylus. 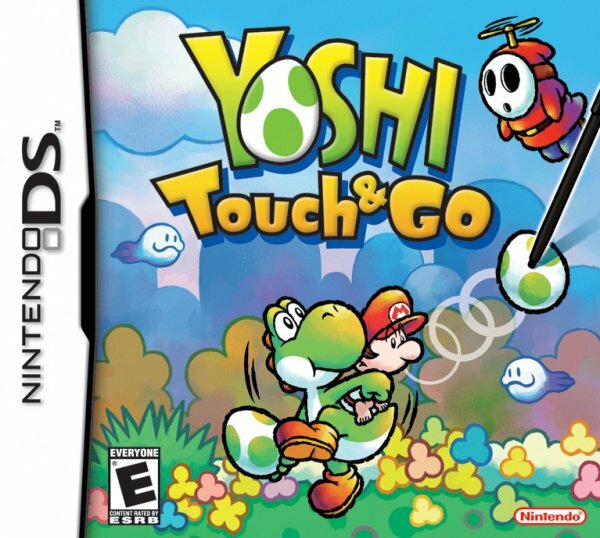 The better of the two DS Yoshi titles, and one of the best DS titles. 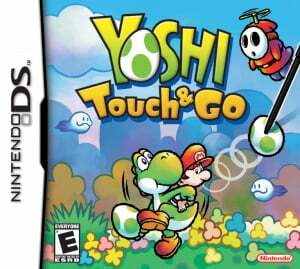 I'm no stylus fan, but this game is an exception. EDIT: In my opinion, that is!